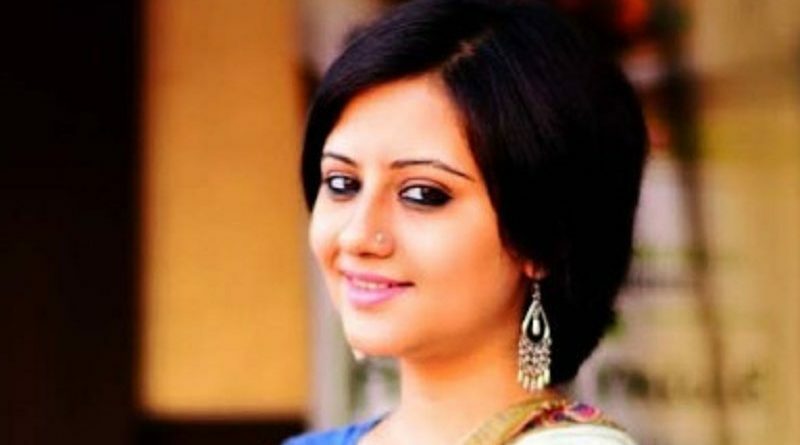 RBN Web Desk: Actress Manali Dey, who debuted as a child artiste on the small screen with Neer Bhanga Jhor in 2008, is back on television albeit for a limited time. She will be seen in some episodes of the popular serial Jamai Raja which has Arjun Chakrabarty and Shreema Bhattacharjee in the lead. Manali is playing a character called Paramita which was recently introduced on the show. The girl is abused for dowry by her in-laws and attempts suicide in a desperate move. She is saved by Ishan (Arjun) who then goes on to solve her domestic problems. Manali became a household name in the hugely popular serial Bou Katha Kao, broadcast from 2010 to 2012 on a private channel. The serial recorded the highest TRPs during the time it was aired. She played the central character Mouri in the serial. Manali recently told a leading English daily that while television gave her the first shot t ostardom, she wants to concentrate on films, as of now. Megaserials demand time, she said, adding that a limited appearance is more suitable for her. The actress is presently working in two films—Kuasha Jakhon and Amar Bhoy—while negotiating other projects. Manali Dey was last seen on the big screen in Nandita Roy and Shiboprosad Mukherjee’s 2016 blockbuster Praktan.